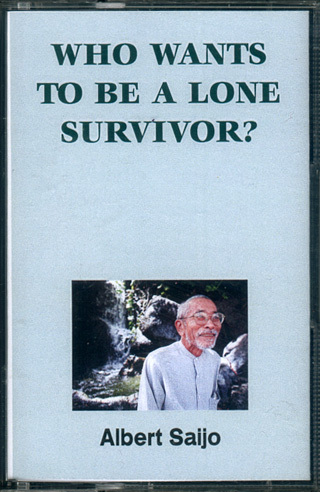 Albert Saijo – Who Wants To Be A Lone Survivor? Albert Saijo (1926-2011) was an American poet from Los Angeles whose parents were first-generation immigrants from Japan. After the Japanese attack on Pearl Harbor of 1941, Saijo’s family was interned in Heart Mountain Relocation Center, Wyoming. The US government much later concluded that the internment of Japanese Americans – which at the time affected some 115,000 people of Japanese descent – had been based on “race prejudice, war hysteria, and a failure of political leadership”. Heart Mountain had a lasting influence on Saijo. The injustice experienced in those days lay at the root of his later radical and nonconformist stance. Moreover, Saijo’s career as an author started at Heart Mountain, where he attended high school and wrote for the school paper, and throughout his life the people he had befriended at the internment center stayed at the heart of his circle of friends. After his internment at Heart Mountain, Saijo was drafted for military service and was stationed in post-war Italy. Once back in Los Angeles as a civilian, he earned a bachelor degree in International Relations with a minor in Chinese. It was a combination of having taken an interest in Zen Buddhism and haiku and having moved to San Francisco in 1957 that brought Saijo into contact with Lew Welch, Gary Snyder, Allen Ginsberg, Philip Whalen and other Beat poets and their affiliates. Saijo became good friends with Jack Kerouac and together they ventured on a road trip from San Francisco to New York in 1959. The 1972 publication ’Trip Trap’ is a collection of haiku written jointly during that road trip. 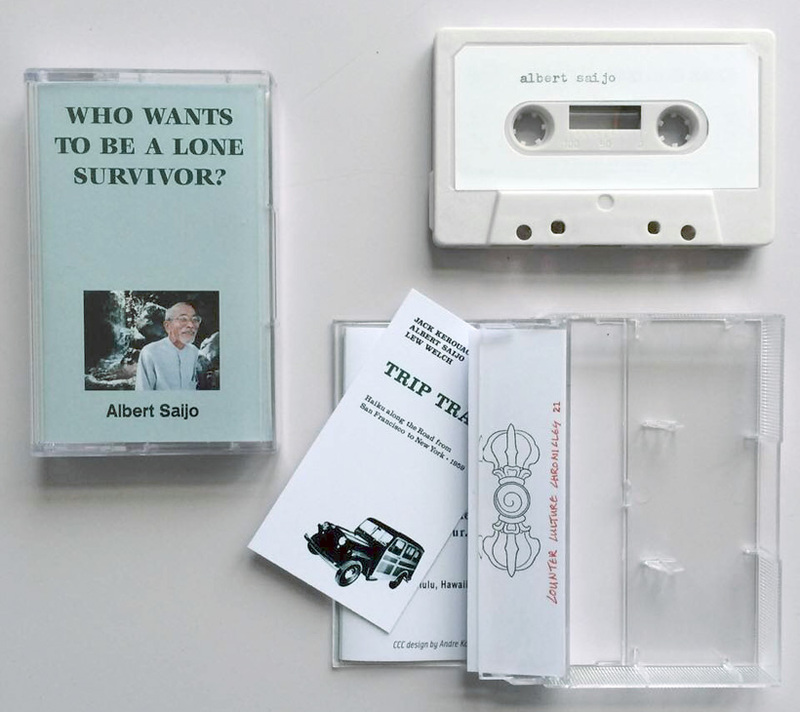 One of those Trip Trap poems comes as a laser-printed extra with the Albert Saijo cassette that Counter Culture Chronicles released late in 2018. 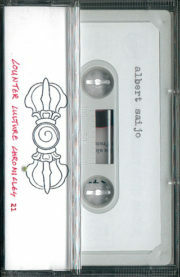 The C-30 cassette contains a reading by Saijo in Honolulu, 2000. 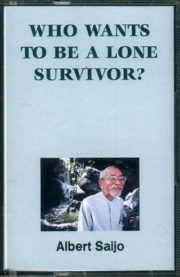 Saijo starts with ‘Who Wants To be A Lone Survivor’ – also the title of the cassette – which holds a sarcastic and semi-apocalyptic view of environmental issues. Also in the following poems, whose subject matter ranges from the legalisation of marijuana to anti-consumerism and Procrustean conformism, an almost cruel sense of humour is a consistent ingredient. 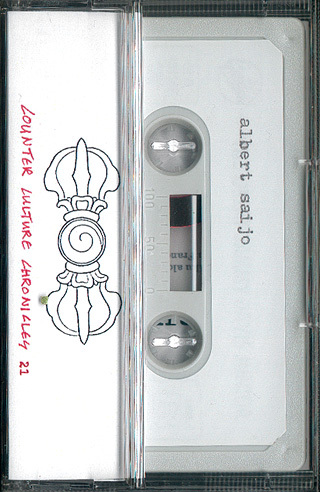 Saijo’s last words on this excellent CCC release are: ‘be empty and senile’. Excellent advice.